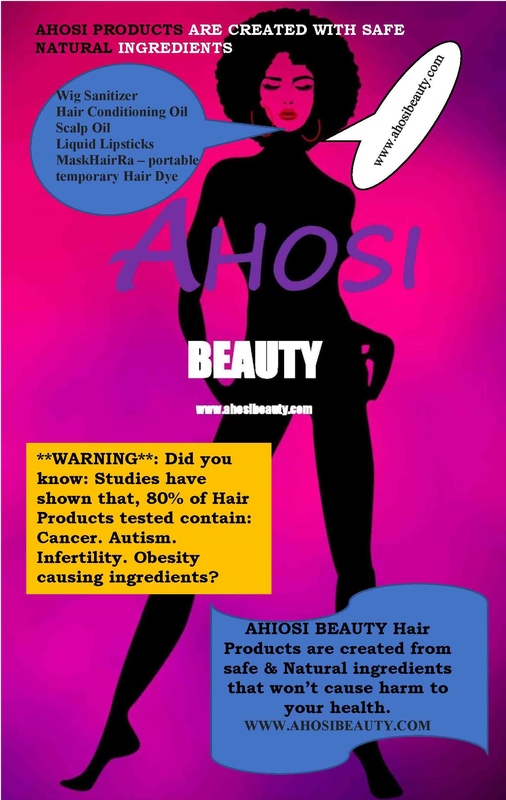 So, what does AHOSI mean anyway I hear you ask. Well, the AHOSIS were an all-female WARRIORS (military regiment)also known as the Dahomey Amazons, from the Kingdom of Dahomey – present day Republic of Benin, in West Africa. Our products are geared towards all beautiful warriors! We proudly introduce our new revolutionary product lines for your beauty routine. Our products are made with natural ingredients because your health matters to us! Our Wig Sanitizer and MaskHairRa are 100% invented and designed by a Woman. Make us your to-go-to company for your beauty needs.